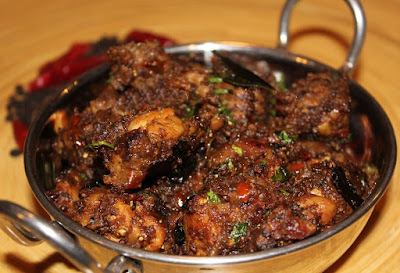 Pepper Chicken Recipe: Pepper Chicken is good for this winter season, which can help you to stay safe from cold. And it is very simple to make without grinding any masala. STEP 1 - Take Chicken in the separate bowl and wash the chicken and drain off the water.Marinate with the ingredients like ginger garlic paste, turmeric powder and salt. STEP 4 - Add chili powder and pepper powder then mix it well.Fry everything well until the mixture lose all moisture. STEP 5 - Add chicken with the ingredients in the pan and then mix well. STEP 6 - Add little water and close the pan on a low flame till the chicken cook well. STEP 7 - After that mix well the ingredients and make it dry. Subscribe with us for more recipes.